Faculty of Law of the University of Rijeka was founded in 1976. Dean of the Faculty is Prof. dr. sc. Eduard Kunštek. Faculty currently employs 80 employees: which consists of 60 teaching staff (full time professors, assistant professors and assistants) and 20 non-teaching, administrative employees. Faculty 21 departments. Nine lecturing rooms are available to the students, located in one building total area of 810 m2, with 724 seats. The Faculty has a hall for distant learning equipped with remote cabins for simultaneous translation. Faculty library has 320 m2 and seating capacity of 54 seats. Two undergraduate programs and three postgraduate programs are offered to 2000 students. As regards undergraduate program there is a university master’s degree in law (which is performed as a 5-year study program and undergraduate bachelor’s degree in administrative law (which is performed as a 3-year study program). As to the postgraduate education, three postgraduate specialistic university courses are available to students, namely: “European Integration Law“, "Crime investigation” and “Corporate financial law”. Postgraduate doctoral study in the field of law started in summer semester in 2011./2012. Currently 12 students are attending doctoral. There are 9 professors who are active (co)menthors. A strong EU orientation of the Rijeka Law Faculty is visible from several facts. First, Rijeka Law Faculty was the first Croatian Law Faculty to introduce the course on European law as an obligatory course (academic year 1996/97) and the first faculty in Croatia that started a postgraduate scientific degree study program in European Integration Law (2001-03). 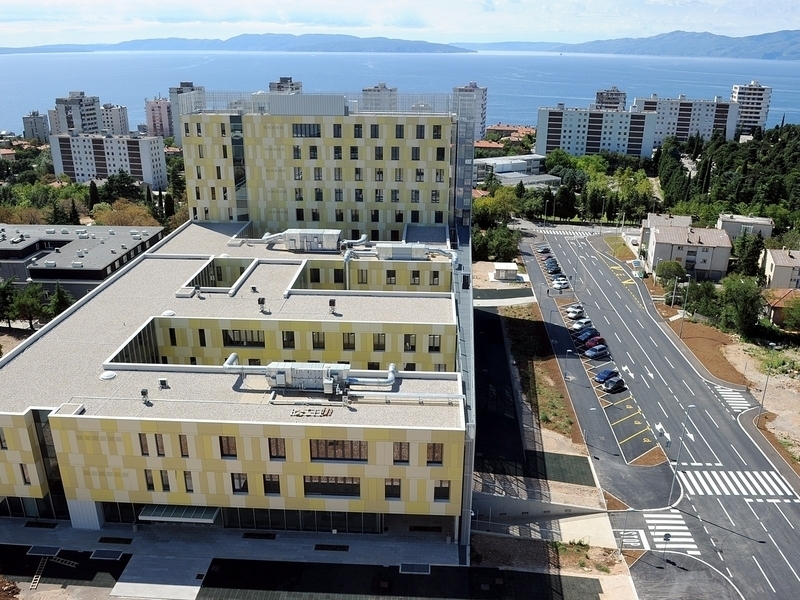 The Jean Monnet Inter-University Centre of Excellence was launched in 2010 by the Jean Monnet Chairs of the Faculty of Law, University of Rijeka and the Faculty of Law, University of Zagreb, the Centre is an interdisciplinary forum for the promotion of research and teaching specialised in European integration studies. Since 2010 the activities of the Centre have been supported by the Jean Monnet Programme of the European Commission - LLP. Rijeka Law Faculty organized many significant conferences and the summer schools in last five years (e.g. The Institute of European and Comparative Law of the Faculty of Law University of Croatia is the organizer of the international conferences “Petar Šarčević“ which are held every two years, “Financing, Governance and Companies’ Restructuring in the age of the Recession“, 2010; International Jean Monnet Chair Conference on “Regulatory Agencies”, 2010; “The Brussels I Regulation: Challenges for Croatian Judiciary“, 2009; „Foreign Languages in the Field of Law”, 2008; „Jurisprudence in Central and Eastern Europe: Work in Progress“, 2008; „Ius criminale-quo vadis? ", 2008; „Social rights as fundamental human rights“, 2008; “Human rights and Biomedicine”, 2008; „First International Seminar on Digital Evidence“, 2008; „Social Integration and Collective Identity in Multiethnic Areas of Croatia – theoretical aspects”, 2007; “Corporate Social Responsibility”, 2007; „Seconde Giornate Croato-Italiane di Diritto e Procedura Penale“, 2007; „Cross-border and regional cooperation“, 2006; „Croatia on its way to the European judicial area, settlement of commercial and consumer disputes“, 2006; „Consumer and Investor Protection in European and Croatian Law - Challenges of Global Sales and Capital Market“, 2005., Intellectual Property Summer Institute was organized by Michigan State University and Faculty of Law University of Rijeka, Croatia and held in Rijeka, from June 18, 2012 to July 13, 2012.). The Faculty regularly publishes the “Collected papers of the Law Faculty of the University of Rijeka” which is a scientific periodical referred in: Index to Foreign Legal Periodicals by the William S. Hein & Co., Sociological Abstracts – CSA (Proquest), Worldwide Political Science Abstracts – CSA (Proquest), Linguistics and Language Behavior Abstracts – CSA (Proquest) i Political Science complete – EBSCO, to book publishing as well as manuals, monographs, conference collected essays and other publications to date, over 90 titles have been published by the Faculty or its Institutes. Library of the Faculty of Law, University of Rijeka as a higher education library is specialized in the field of law. There are sources that are available in conventional printed form, as well as verious electronic resources. It has 39 100 monographs, and more then 260 legal periodicals available. The library has been enriched with four impresive book collections, donated by several donators. Electronic resources cover a variety of databases from all scientific fields available in the Croatian academic and research community and also domestic and foreign legal databases.